Offering a completely furnished two bedroom apartment for rent with a balcony near the center of Prague. Spacious, amazing apartment for you that is furnished and functions in every angle. It has modern furniture, high quality wooden flooring with underfloor heating, comfortable reclining couch set that can be best used for your guests. Big French Windows lighten up and add fresh air into the interior of the apartment. Direct entrance into terrace creates a luxurious atmosphere and view onto the vineyard from the liv-ing room and from the bedroom. This roomy terrace is a great addition to this apartment for re-laxing. Fully equipped kitchen is practically placed in an opened area connected with the dining room and the living room. For your entertainment we added satellite television with Czech and international channels, fast WI-FI connection is automatic. For your comfort the bedroom has a high quality anatomical mattress and many clos-ets. One of the many unique additives in this apartment is a separate toilet. The bathroom is equipped with faltering underfloor heating, a comfortable bath, sink with LED lighting, and a washing machine with a dryer. If you are in need of more room we added a closet/pastry room in the hallway. 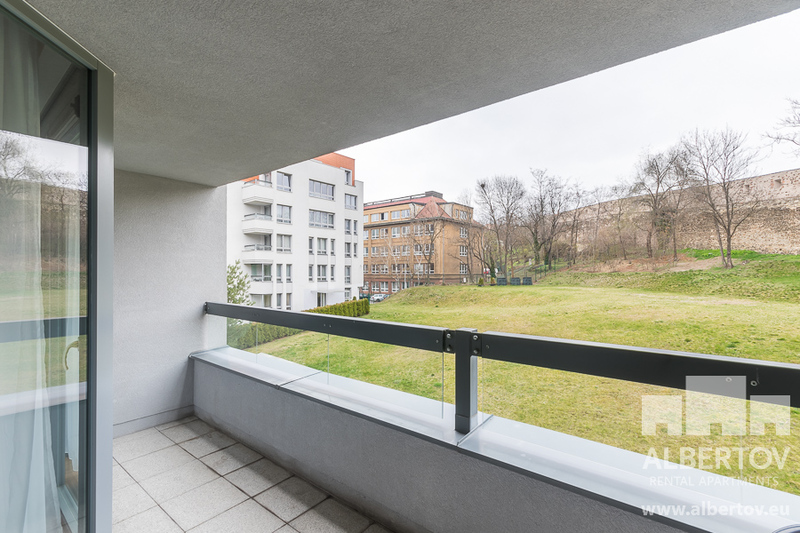 This beautiful apartment with a balcony is located on the 3rd floor of the closed resi-dence complex building in a calm part under the Vyšehrad not far from the center of Prague. Advantage of renting this apartment is because it is only 8 minutes away from Václavské námestí with the tram. The stop for the tram is in front of Albertov Rental Apartments. 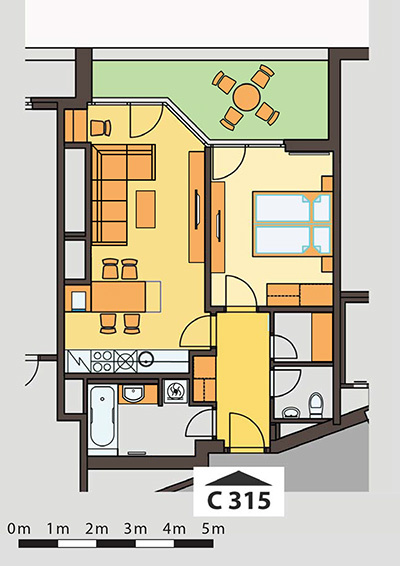 This apartment will fulfill all needs and dreams of comfortable and high quality living for any clients. Our biggest goal is to create a feel of home with the relaxation as if you were staying at a hotel and that is what Albertov Rental Apartments creates for you.